As Activision promised a few weeks ago, a live stream is currently taking place, in which developer Bungie is showing Destiny 2 first gameplay. After completing the stream, several sites and Youtubers will be able to publish their own videos of gameplay, so be aware of our next publication. 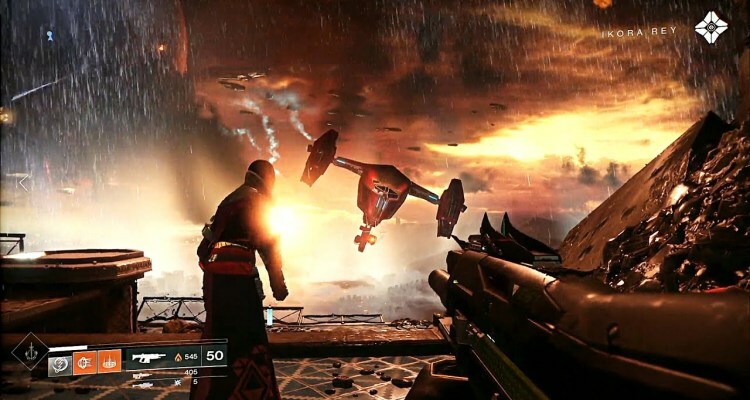 Destiny 2 is the sequel to the internationally acclaimed Destiny, a first-person action game that takes the player to an epic adventure to defend humanity from annihilation. In Destiny 2, the last safe city on Earth has fallen and occupied by a powerful new enemy and its elite army, the Red Legion. Each player creates his own character called “Guardian”, which are the protectors chosen by mankind. As a Guardian in Destiny 2, players must master new skills and weapons to gather city forces, stand up and fight to reclaim their home. In Destiny 2 players will respond to this call, embarking on a new history full of destinations never before explored around our solar system, in addition there will be a lot of activities to discover. There is something for almost all types of players in Destiny 2, whether it’s for fans who play alone, cooperative and competitive, all within a vast and exciting evolving universe. The product line will also feature Destiny 2 – Game + Expansion Pass, Destiny 2 – Digital Deluxe Edition with premium digital content, Limited Edition and Fully Portable Collector’s Edition, Destiny 2 – Frontier Bag, Expansion Pass, digital content Premium and a Cabal themed collectible box. The game will be released for PC, Playstation 4 and Xbox One on 8 September.